Irish Heart month begins on September 1st; the theme of this year’s campaign is children and families heart health through healthy eating and active living. We all want our children to grow up to be happy, active healthy adults. You make many choices every day, when it comes to making decisions that keep us healthy, it may seem difficult to choose better options when so many things seem easier or just more fun. You just need to take small steps in a healthy direction and that begins by knowing healthy choices. Eating healthy foods is one of the most important ways to keep your heart working its best, by choosing foods that help you keep your heart and rest of your body in top shape. “Stop the drama” is the key message the Irish Heart Foundation is delivering this September. IHF aim to take the drama out of family meals by providing family recipes which some have been child endorsed and parent approved. One fifth of Irish children’s energy intake comes from sweets, snacks, cakes and biscuits which are a very high and unhealthy proportion! Children on average eat only a half serving of vegetables per day. One in three children watches over two hours TV every day. Until recently, heart disease was viewed as something to become concerned about once we hit middle age. We now know however, that heart disease can begin in early childhood as a result of poor diet and lack of physical activity says Rachel O’Reilly senior Dietician in Aut Even Hospital. Rachel advises that keeping weight in balance by matching the amount of energy put in (the calories you eat and drink) with the amount of energy you put out or need for the activities you do each day. High five for fruit and vegetables – base your meals on these, and enjoy a wide rainbow variety of colours. Choose wholegrain foods – breads, cereals, potatoes, rice and pasta enjoy at each meal. Select low fat dairy products – milk, yogurt, reduced-fat or low-fat cheese (mono and polyunsaturated fats from 2 years of age onwards). Eat fish – especially oily fish (salmon, trout, and herring) at least twice week. Peas, beans and lentils a good quality protein which are low in fat and high fibre alternative to meat. Limit intake of saturated and trans fats. Limit your intake of beverages and foods with added sugars. Learn about sodium (salt) and common foods that have too much of it e.g. processed salty meats like sausages, bacon and ham – not every day. Snack foods tend to be high in saturated, trans fats, sugar and salt. If you want to snack, go nuts. A serving size is a small handful of unsalted whole nuts or 1-2 teaspoon peanut butter. Cook without added fats or oils to keep calorie intake low. Always use low-fat cooking methods (grilling, baking, steaming or boiling) are best. Drink plenty of fluids e.g. water instead of sugar drinks. Encourage regular family- centred meals. Active living is one of the best ways of improving health at all ages and all body sizes. ”Active living “means finding ways to be active in EVERYTHING people do EVERYDAY. Being active for children and growing teen’s means doing at least 60 minutes of moderate to vigorous activity everyday such as running, skipping, cycling, swimming, football, basketball, tennis, hurling camogie, football, soccer, and rugby, chasing or dancing. Fuel your brain – help you unwind and improve concentration. Improving your mood – giving you a better attitude and energy boost during the day. Bond with buddies – will increase confidence, improving social and moral development. Stretching – improves balance, enhances coordination and flexibility. Be a role Model. Mum and dad are the best motivators. Try an exercise that the whole family can do together e.g. walking, cycling, swimming, puck a sliotar, hide and seek or play tag in park. Finding time can be difficult but concentrate on the positive aspects of exercise. It is a chance for family members to be together to share good times and fun. Praise your children for taking part and for effort. Avoid too much competition- not everyone can win. Encourage your children to be out doors. Encourage your children to be independent as young as possible- ask them to make their own bed, get themselves cold drinks, and tidy up after themselves. Walk with children to and from school and the local shops if possible. Support sport in local community, allow children to try out different sports so that they can develop a variety of skills and find activities they like. 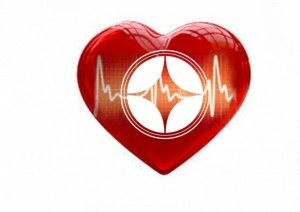 Visit the below websites for you and your family, for some useful tips on a healthy heart, through food and exercise.